To mark Drake’s London residency the O2 has temporarily adopted a new name -The O3. The signage change honours the rapper’s number-one single God’s Plan. 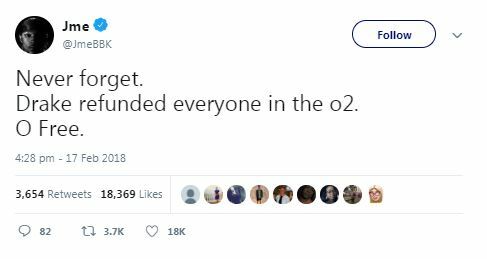 In the song he raps “And you know me/Turn The O2 into The O3”, referencing his performance at the arena in March of 2017 where he refunded all ticket sales when fellow rapper Travis Scott’s fall off the stage damaged the set design-therefore turning the O2 to the O Free. 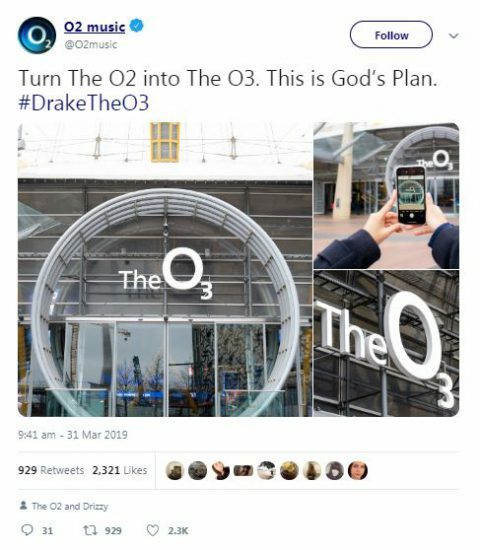 To celebrate Drake joining the ranks of the few artists who have performed at the venue a huge 21 times, the O2 are also running a prize draw for fans who were unable to get hold of tickets. Hopeful fans need only take a photo outside the arena using the hashtag #DrakeTheO3 to enter.